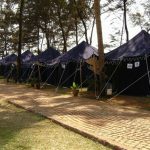 Where to buy camping tents ? 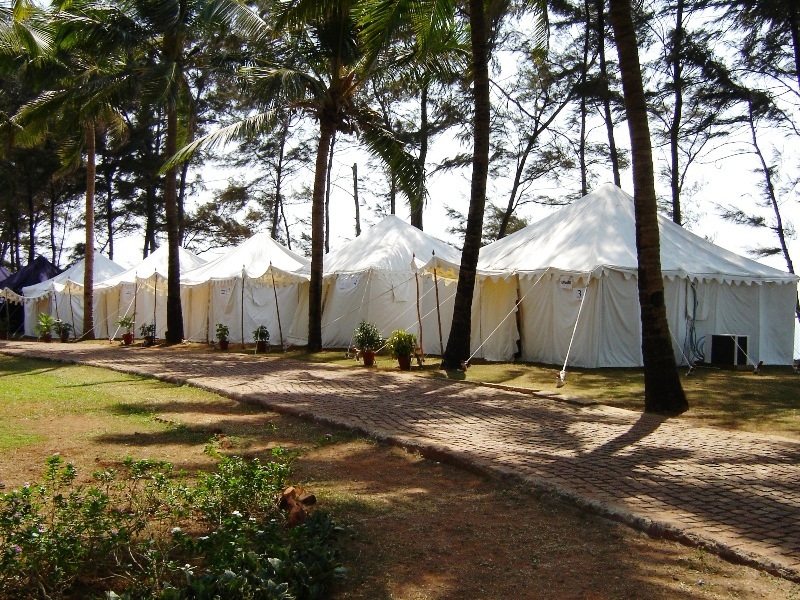 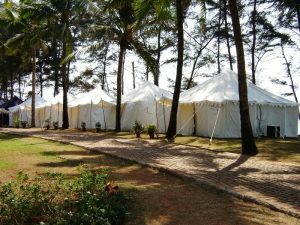 We are showcasing here a Tented Camp that we put up in Goa. 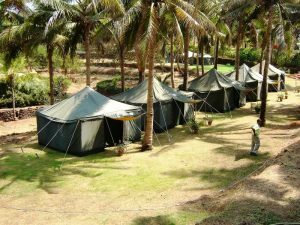 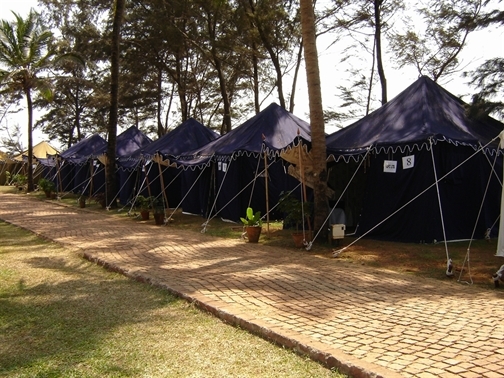 The Camping tents were made in Olive Green color canvas, Navy Blue color canvas & Natural white color canvas. 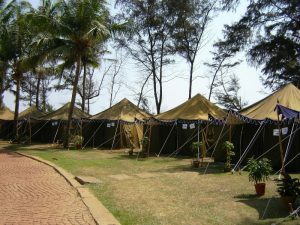 They were pitched in a straight line, making a corridor ! 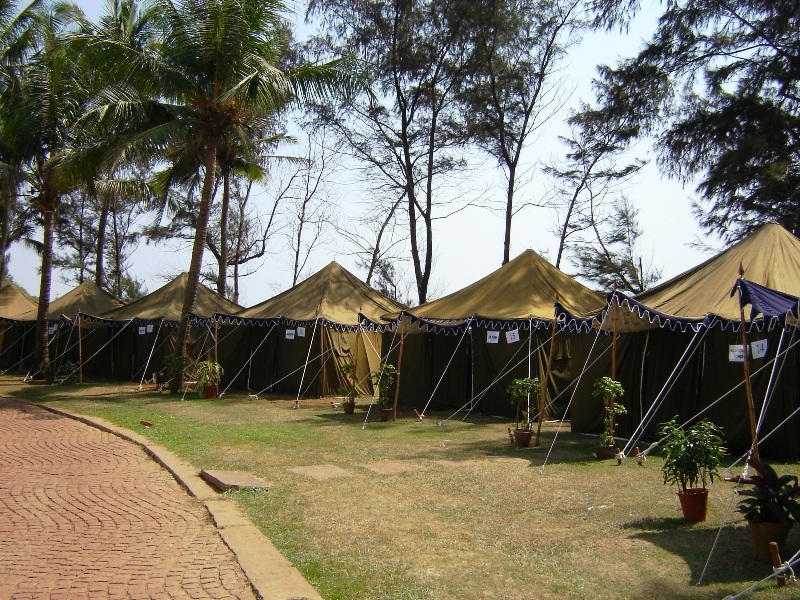 The beautiful camp site had all single pole tents, with out held canopy and Sine wave valance, with beautiful Japuri prints & Jodhpuri prints Inside, perfect for an outdoor family camping & holiday ! 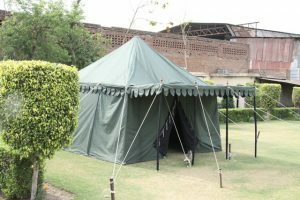 According to the requirement of the army, the canvas walls are detachable, the Outer is made up of water repellent and rot resistant cotton Canvas or rip stop canvas in Olive green color, inner of matching color fabric, with regiment LOGOS printed in the interior of the Tents. 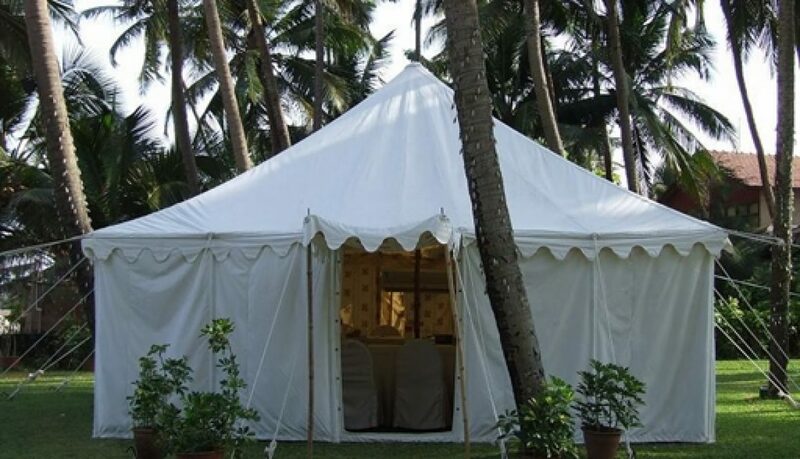 You can send us the LOGO of your regiment and we will print it on the interior walls of your Army Tent. 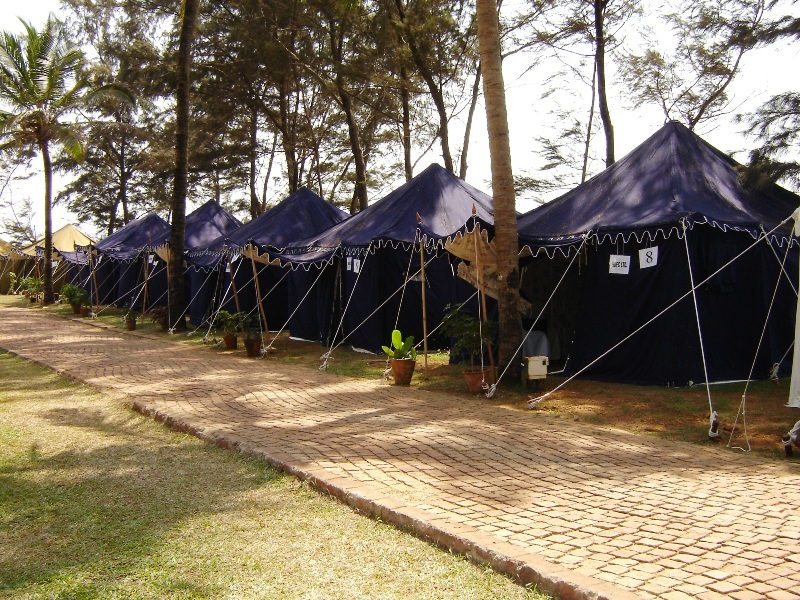 We have done it for many regiments.